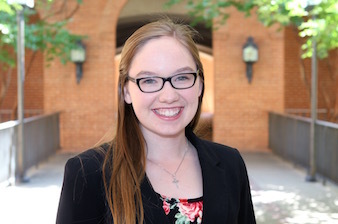 Rebecca Voth, a senior University Scholar student studying political science, international studies, philosophy, and Spanish, has been selected to receive a prestigious Fulbright English Teaching Assistantship (ETA) to Mexico. In addition to teaching English in Mexico, Voth will be exploring the issue of immigration patterns from and through the two countries. As the flagship international educational exchange program sponsored by the U.S. government, the Fulbright Program aims to increase mutual understanding between the people of the United States and the people of other countries. Fulbright ETAs are placed in classrooms abroad to provide assistance to local English teachers while also serving as cultural ambassadors for the United States.